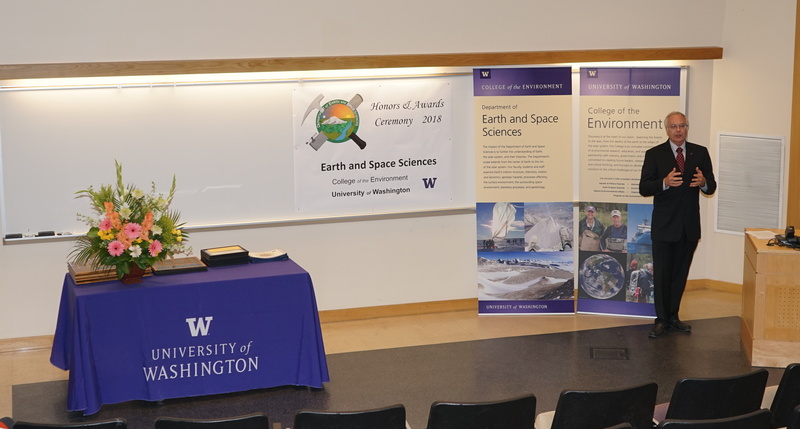 Photo of Bruce Nelson hosting the 2018 UW ESS Honors and Awards Ceremony. 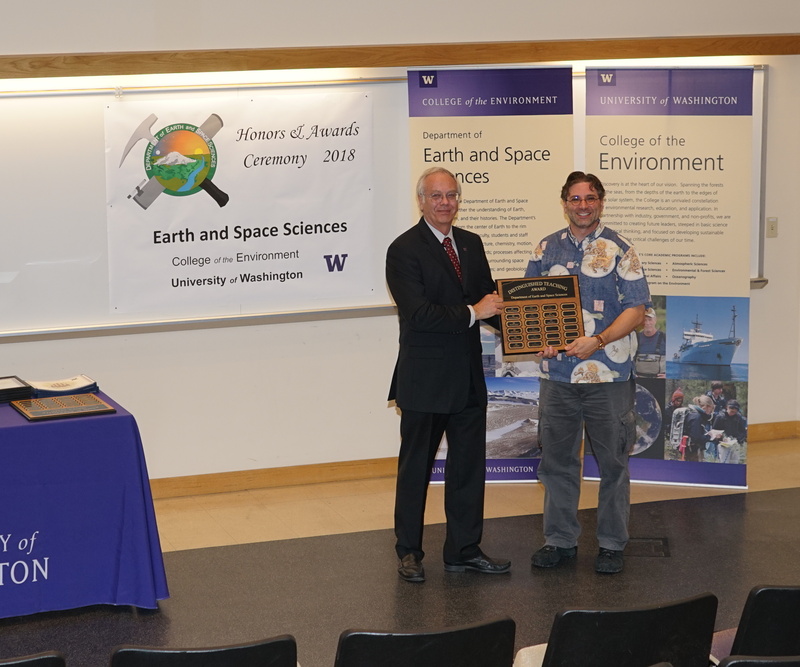 The 2018 Honors and Awards Ceremony was held on Thursday May 10th at 3:30 pm in JHN-102, hosted by ESS Chair Bruce Nelson. There were numerous honors, awards, and scholarships given during this ceremony before adjourning to a reception in the Johnson Hall Courtyard. 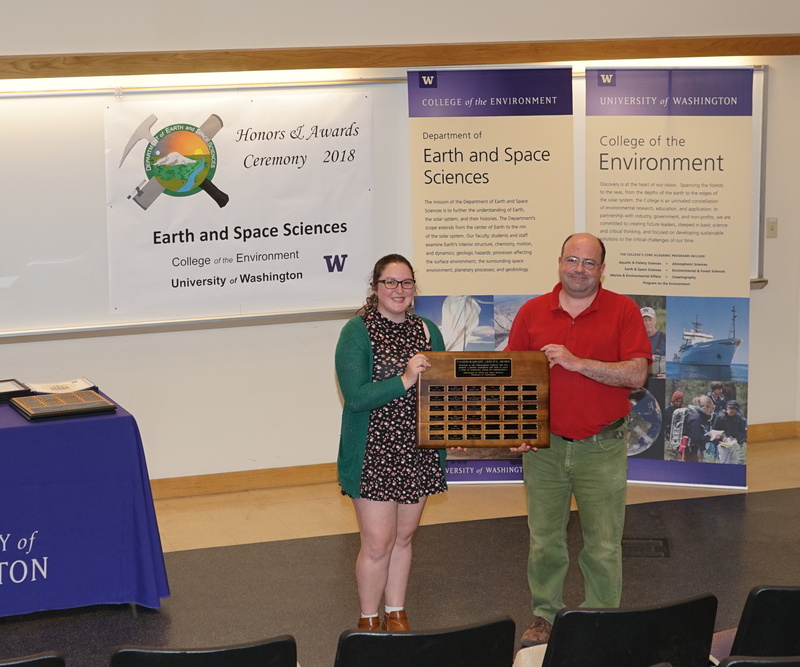 Jacqueline Sherburne receiving the Undergrad Service Award from Gerard Roe. 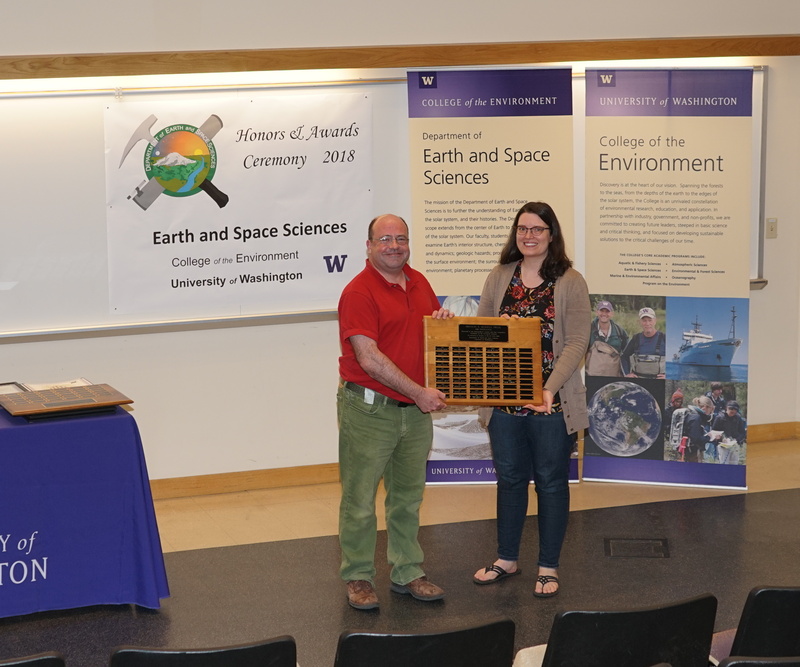 Sarah Newport receiving the Merrill Prize for Excellence from Gerard Roe. Zack McIntire receiving the Coombs Fellowship for Teaching Excellence from Ken Creager. 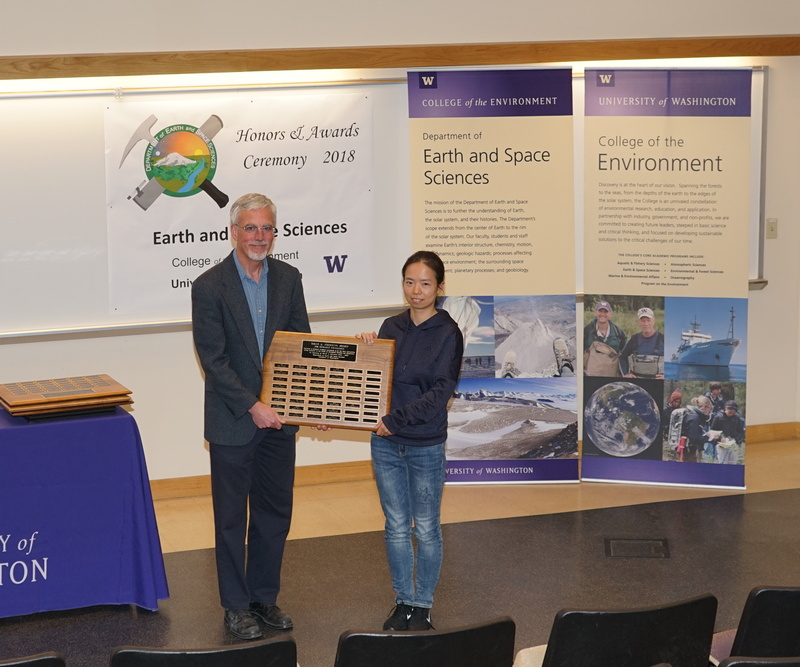 Yan Emma Hu receiving the Johnston Prize for Research Excellence from Ken Creager. 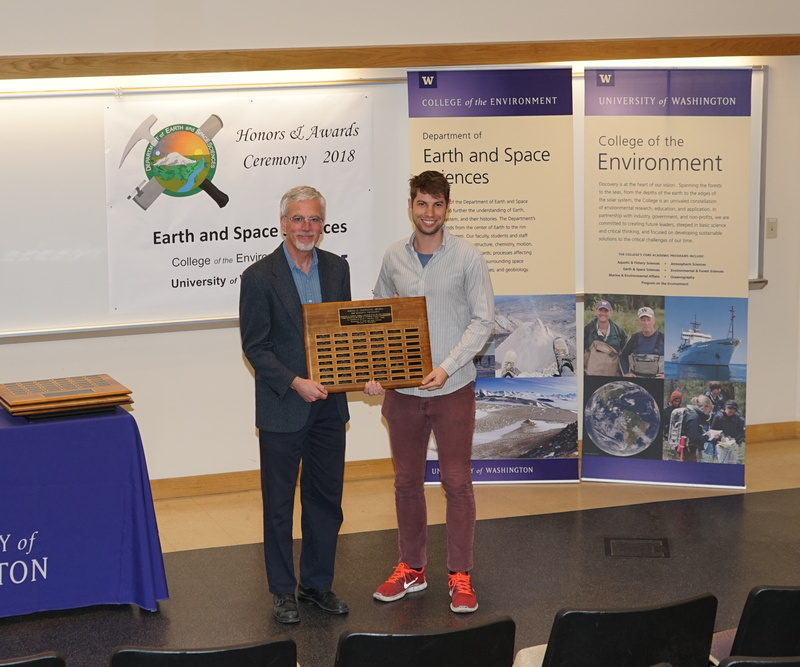 Joshua Krissansen-Totton receiving the Johnston Prize for Research Excellence from Ken Creager. 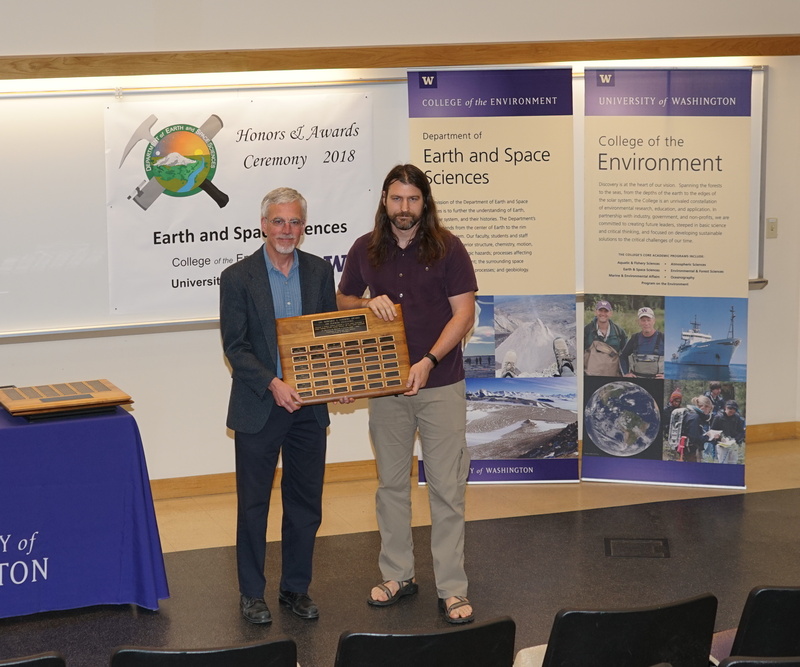 Steven Walters receiving the Bassett Faculty Teaching Excellence Award from Bruce Nelson. 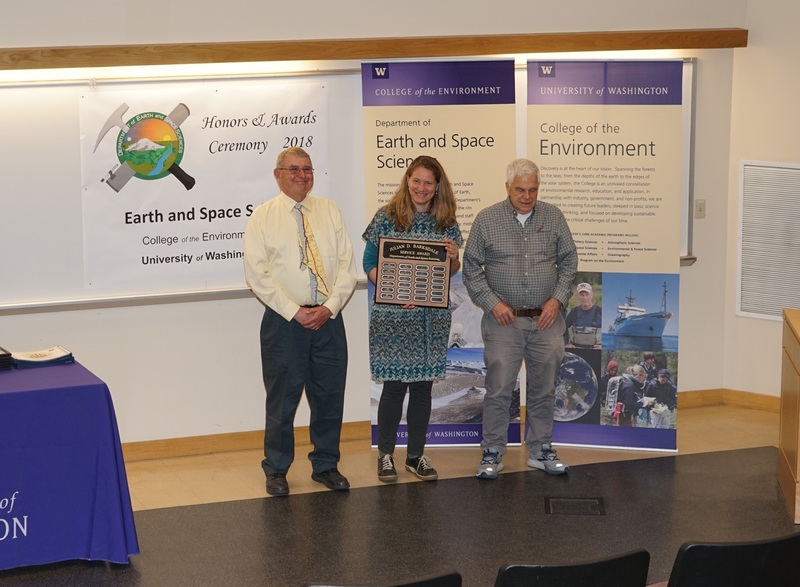 Renate Hartog receiving the Barksdale Service Award from Tucker Barksdale and Eric Cheney.